Mercedes deployed a moving bollard in the form of Valtteri Bottas to help Lewis Hamilton beat Kimi Raikkonen to the Italian GP win, while Sebastian Vettel cost himself any chance with an early hit on his title rival. The one thing Ferrari did not want at the start of the Italian GP was drama. The one thing they got, and one could argue even caused, was drama. While Kimi Raikkonen led off the line, Lewis Hamilton attacked Sebastian Vettel. Going around the outside of the left hander in order to get the better line into the right hander, Vettel drifted over into Hamilton’s line and the two touched. Vettel, with a broken front wing, was pitched into a spin. He dropped to 18th and pitted for repairs and fresh soft tyres. Ferrari’s woes were compounded as Vettel was released into the path of Marcus Ericsson’s Sauber with the Swede pitting for repairs after tangling with Brendon Hartley. The Toro Rosso driver retired and the Safety Car came out of the first time at Monza since 2011. Raikkonen held off Hamilton at the restart only for the Mercedes driver to challenge into the first corner. Forcing Raikkonen wide, he grabbed the preferred line and P1. Raikkonen came back at him the very next corner to the roar of the tifosi. Behind them Max Verstappen held down third place ahead of Valtteri Bottas, Carlos Sainz and Romain Grosjean, the latter two trading positions. Further back Sergio Perez shaved off a good chunk of Kevin Magnussen’s Haas as the Dane, having cut the chicane, rejoined into the path of the Force India. Perez passed him but gave him a good shove as he did so. 10 laps in Raikkonen was struggling to get away from Hamilton, who remained roughly one second behind the Finn and knocking on DRS’s door. Fernando Alonso retired – “same problem with the shift”, Lance Stroll was P8 to Sergey Sirotkin’s P9, Vettel was chasing Perez for a place inside the top ten, and Daniel Ricciardo and Pierre Gasly were trading paint and pieces of bodywork – twice! LAP 10/53: 📻 "There is a problem…"
Raikkonen pitted on lap 20, swapping his supersoft tyres for a brand new set of softs. He came out P4, just ahead of Grosjean. Hamilton, in the lead, was told “it’s Hammer time Lewis.” With free air ahead of him, Hamilton was told to “stay out” as he has pace. In turn Raikkonen was urged to “push” by his pitwall. Daniel Ricciardo became the race’s third retirement as he parked his RB14 on the side of the track with a smoking Renault engine. He reported hearing “something breaking” which may have happened as he mounted the kerbs having cut the chicane. With Raikkonen faster than Hamilton, Mercedes made it clear that Bottas was expected to play mobile bollard and “keep Kimi behind you.” The Ferrari driver was 18s behind Hamilton when the message came through meaning the Brit did not have a free stop. He pitted on lap 28, coming out P3 and seven seconds behind Raikkonen. Bottas was leading while Vettel, who was up to P6, pitted for a second time for new supersoft tyres. Vettel fell to 10th. Raikkonen was finally freed up on lap 37 as Bottas pitted for tyres. He, however, had Hamilton less than a second behind him. Both drivers suffered with damaged tyres. Verstappen was third and Bottas back to fourth ahead of Esteban Ocon and Perez. 16 laps remained. 16 laps for Raikkonen to hold off Hamilton or Hamilton to pass Raikkonen. Behind them Verstappen’s podium was threatened by Bottas and his fresher tyres with the Mercedes driver making two attempts. The second saw the two touch as Verstappen moved onto Bottas’ line and gave the Mercedes a whack, sending him down the escape road where he lost ground working his way around the bollards. Verstappen was hit with a 5 second time penalty to be added to his race time. All eyes, though, were on the battle at the front. Hamilton made his move on lap 45 into the first corner. He went around the outside into Turn 1 and held his line on the inside of Turn 2 to lead the Italian Grand Prix. He never looked back. 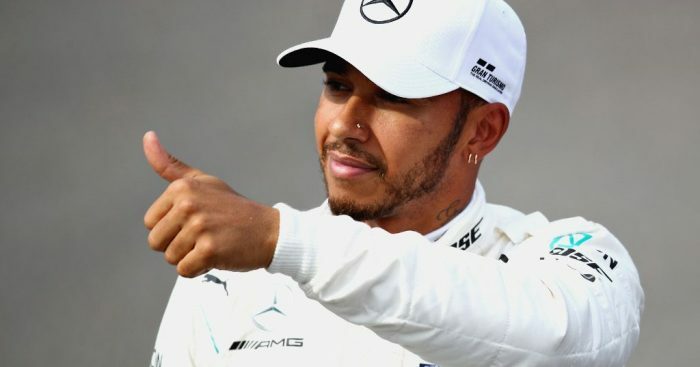 Hamilton disappointed the tifosi as he won the race ahead of Raikkonen, extending his lead in the championship to 30 points. Verstappen crossed the line in third place but fell to fifth as his penalty meant Bottas claimed the final podium position and Vettel took fourth. Grosjean, Ocon, Perez, Sainz and Stroll initially completed the points. However, the drama continued several hours after the race following a complaint by Renault made against Grosjean’s Haas. The FIA investigated the issue and found the No.8 car in breach of the regulations by running an illegal floor. Grosjean was disqualified for the final classification as a result, moving Williams’ Sirotkin up to P10 and giving him his first-ever point in Formula 1. The decision also promoted Sainz up one place to P8 and helps Renault keep hold of P4 in the Constructors’ battle with Haas. The American team have decided to lodge an appeal.